The Ginger People were kind enough to send me a bottle of Organic Ginger Syrup to review. The syrup comes in an 8 oz/237 ml glass bottle. The product branding is adorable. 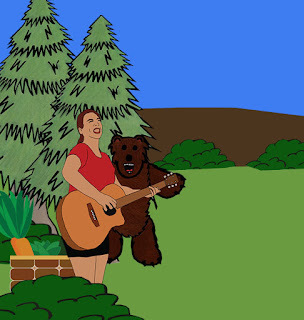 It is a animated piece of ginger root sitting on top of a stack of pancakes and syrup. The product arrives with a recipe for a ginger martini which sounds absolutely delicious. Unfortunately, I was missing a few ingredients and I just didn't want to compromise the taste. I am a ginger lover. At home, I often drink cups of freshly infused ginger root for the health benefits and the spicy lemon-like flavor. Ginger is a known immune booster. It fights pain, combats nausea and helps increase digestive movement. Ginger helps to break down food which can aid your metabolic function. Did you know that ginger was called "the Great Medicine" by ancient Indian vaids as it removes toxins and restores balance to the body. As soon as the bottle arrived my husband immediately opened up the bottle put some in his coffee as a sweetener and wandered off about his day. Later on he passed by and informed that the syrup tastes terrific in the coffee but he might have overdone it a little bit. He wasted absolutely no time, it was quite amusing to witness. His silent excitement echoed through his actions. What I really enjoy about this product is that there are only 2 ingredients and that is Organic Cane Sugar and Organic Ginger. This makes me really happy. I have been making ginger teas with this and it is absolutely delicious on ice cream. It is so versatile that you can use it as a sauce for waffles, chicken, ribs. The list is endless. 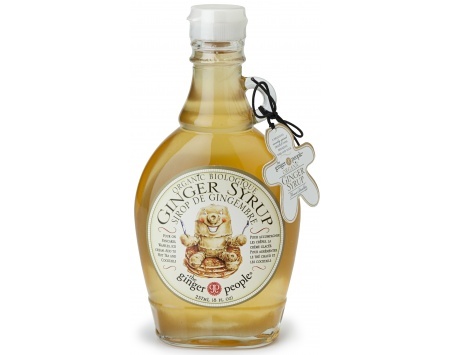 If you would like to purchase a bottle of Organic Ginger Syrup it is can be purchased here and shipped anywhere within Canada and the United States. Disclaimer: I received a bottle of Organic Ginger Syrup for the purpose of this review. All opinions are my own and are based upon my product experience.